Raja Ampat is famous for its exotic marine scenery. The clear blue sea and uniquely shaped islands are the main magnets for tourists from around the world. 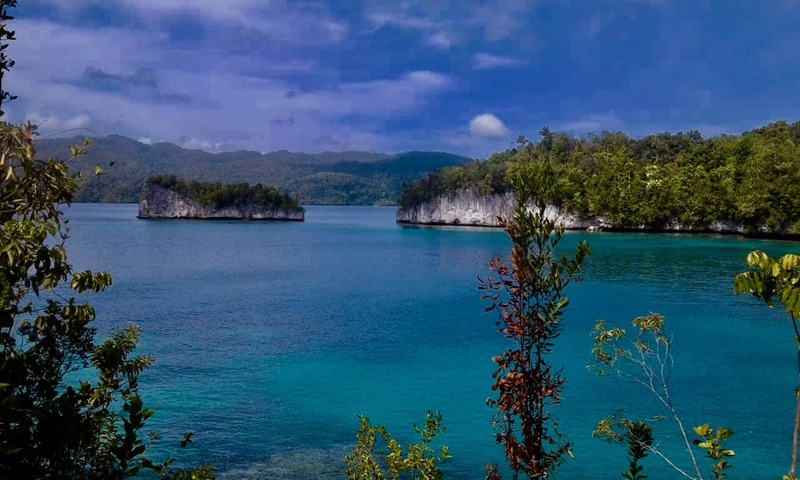 There is one more attraction that will make tourists curious about these islands in Raja Ampat, especially for the ones who are enthusiastic on history. Ancient artifacts and burial complex that is thought to be the tomb of Arab traders were recently found by Archaeological Institute of Jayapura in Raja Ampat. The tomb were found in Misool Island. Artifacts and the cemetery were probably derived from the 17th century means, both hundreds of years old. Excavation of the tomb of the Arab merchants carried out by Jayapura archaeologists in 2014 in Kampung Harapan Jaya, Misool. Through the excavation, archaeologists found 14 tombs merchants from Saudi Arabia. Pearls are very beautiful. Therefore, it is not surprising that many people love it, especially for female, pearl is one of Indonesia’s natural valuable resources. Cultivation of pearls are scattered on various islands in the archipelago. One of them is in the area of Raja Ampat, which is located at the westernmost tip of Papua. Pearls is a leading commodity in this area. There are at least six companies that develop the cultivation of pearls here. Three are foreign companies and the other three are local companies. Location that pearl are cultured are in Misool District, West Waigeo, and Batanta. In the district of West Waigeo, pearl cultivation are in Aljui region, approximately 70 nautical miles west of the city of Sorong. My departure to Papua was certainly approved by my family. Before leaving, my mother advised, “Do not forget to bring orchids for me”, so she said. Initially I only consider passing because I think orchids in Papua, there is also in Java. This orchid hunting trip I started at the third day of the trip in Papua. The first time I realized that how special orchid Papua was when we visited the Forest Wapsdori. On the way to the waterfall Wapsdori, we saw many kinds of orchids and they are all really beautiful. Instantly I remembered my mother’s message that she wanted orchids. In the forest of Wapsdori, I saw some kinds of ground orchid, tiger and rabbit orchids. I wanted to pick and bring it home. However, I realized that we should not be arbitrary in picking herbs in the forest. Indonesia does have amazing underwater paradise. Surprisingly there are not many photographers in the country who explore this potential. Many books and literature under water photography from abroad actually take objects and underwater scenery Indonesia. 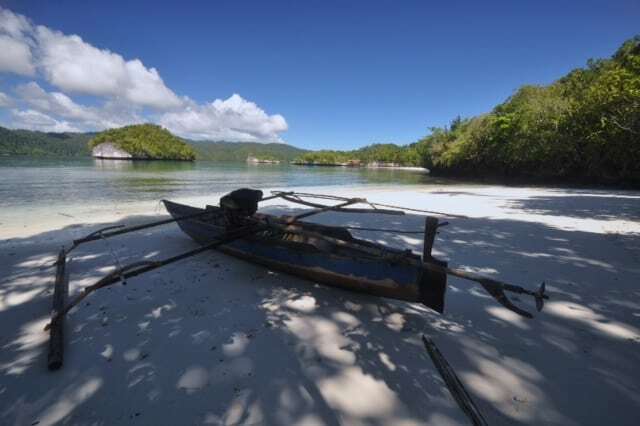 Raja Ampat represent everything, the land is still virgin, lagoons and sheltered bays, beautiful beaches and blue sea. The islands are too broad to be explored in a week. It may take a full month to be able to visit the entire islands. 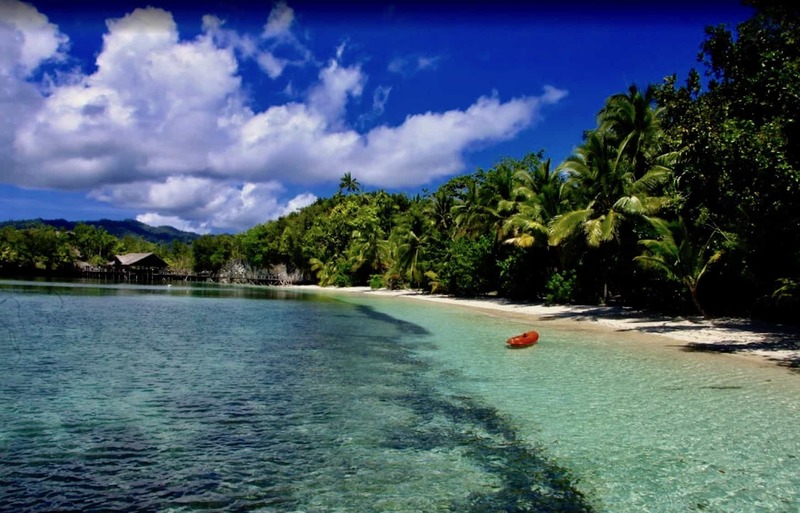 Main dive spots for domestic and foreign divers to explore is in the region of South Waigeo. 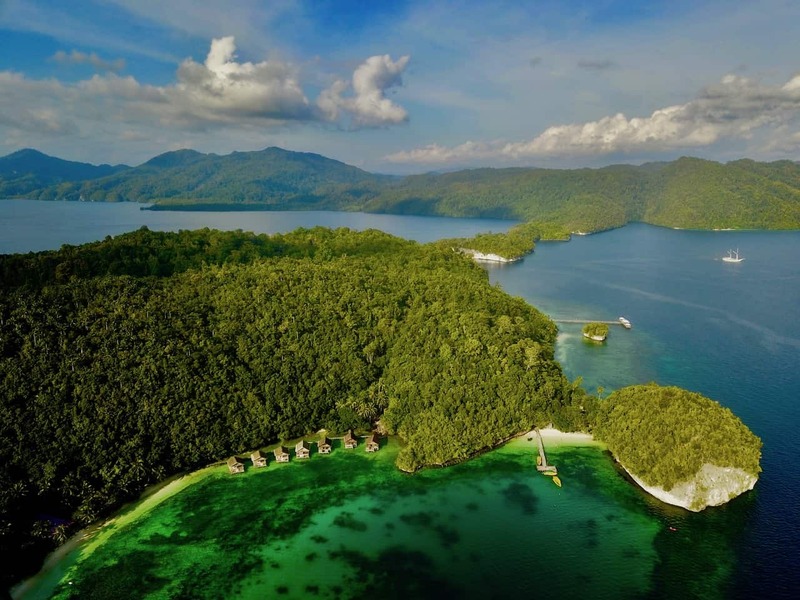 Strategic location of Raja Ampat Doberai Eco Resort is located in the region of South Waigeo, and it is very easy for divers to meet the desire to dive in various spots which has its own uniqueness. Raja Ampat has more than 1,070 kinds species of fish, 600 species of coral reef, and 699 species of mollusk. Compare with the entire Caribbean region who just have no more than 70 species of coral. There is no place on this earth that has so much diversity of marine life as Raja Ampat does. This could be due to the total population of the very few who still use traditional fishing gear and limited access between islands that actually protects it from damage natural ecosystems. Diving at night in Raja Ampat is extremely interesting. Underwater life at night is much different than in the daytime. When in daytime, we can easily see clown fish (anemone fish), but at night, difficult to find since they are hiding somewhere. At night usually can be found various types of crab, shrimp, squid and octopus. Trip to Raja Ampat is expensive? Not really actually, especially if we plan it well. The word “expensive” is something that is relative actually. In general, Raja Ampat when it is compared to other tourist spots in the country, it is relatively more expensive. This is because Raja Ampat is marine tourist spot, where everybody knows that normally is more expensive than tourist spots on land. Moreover, Raja Ampat is located in Papua, where infrastructure is minimal when compared to other provinces in Indonesia. However, all of the high expenses will be paid off when you see the breathtaking view of Raja Ampat, both underwater and above the sea. 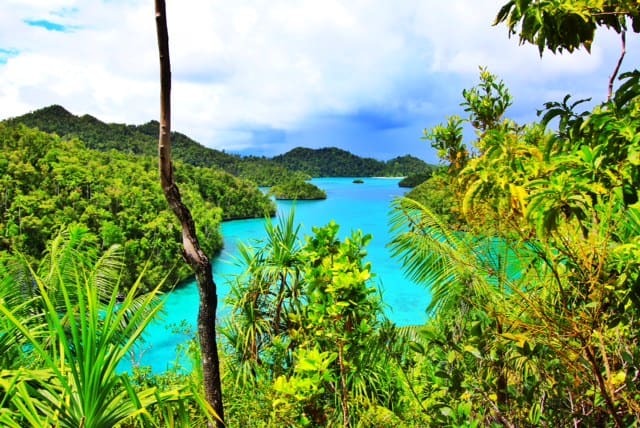 Raja Ampat Doberai Eco Resort is very concerned with the preservation of the Raja Ampat area within the scope of the overall ecosystem. 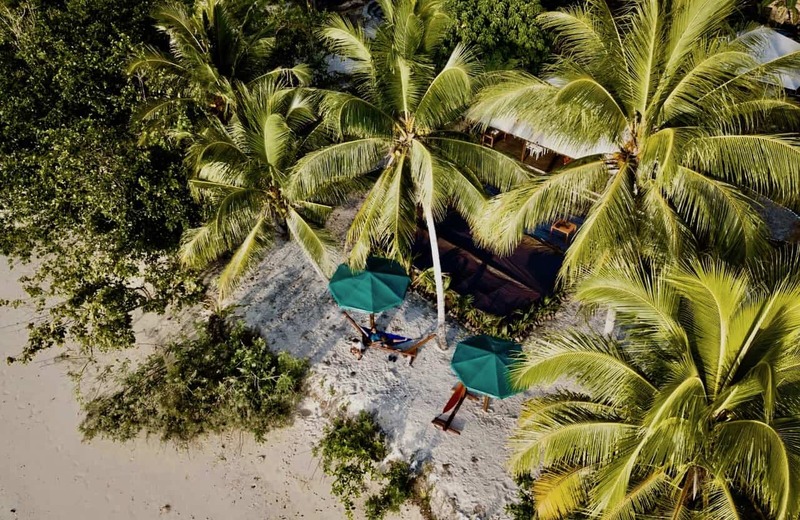 Raja Ampat Doberai Eco Resort and we all of course do not want Raja Ampat to suffer the same fate just like other tourist destinations in Indonesia, where there are damages to forests, coral reefs and also socially negative changes of the social and cultural life of the community. When we heard the name of Raja Ampat, the imagination of every person will wander into an archipelago in West Papua which is famous for its natural beauty. Raja Ampat is now well-known among tourists, both foreign and domestic. Especially for those who have a hobby of diving (diving). Raja Ampat is like a paradise for divers. Conservation values ​​is the starting point to understand the behavior of the culture of Raja Ampat society. Nature gives life to them. Interaction with the nature teach them how to survive by using simple or traditional technology. Conservation values ​​are the manifestations of the values of their religion ​​or beliefs that they embrace. These values run in the process of interaction with the nature around them. Not all of the Raja Amat people know the term “Conservation” in Papua. 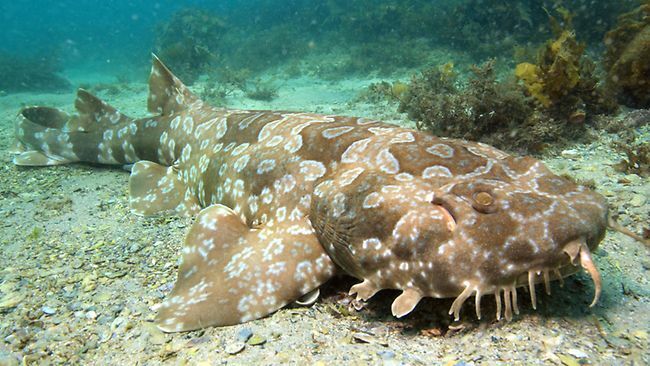 However, they know and realize that “WE MUST PROTECT OUR SEA, AND THE SEA WOULD RESULT A LOT”. That is a couple of sentences implies conservation in very deep meaning. Most of the coastal communities never heard about conservation and protection of coral reefs in the Raja Ampat. 6th grade elementary school students from Kampung Aduwei, revealed in their language, Matbat, “Min bomb genie na or in Indonesian means the fish should not be bombed. 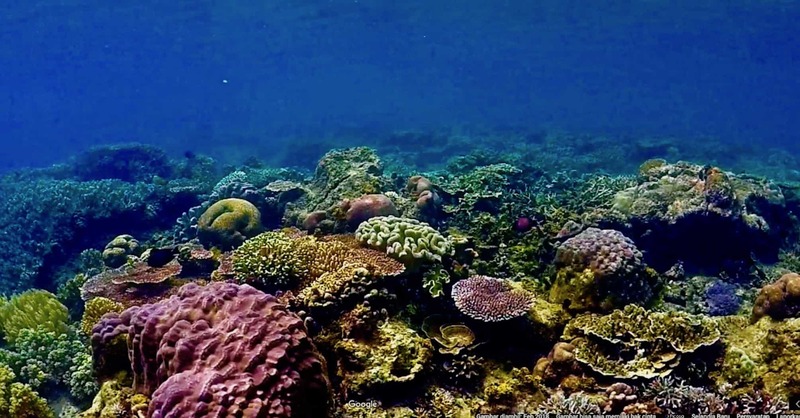 They heard the conservation and protection of coral reefs of Raja Ampat from the government and village facilitators of some conservation programs. Do you like or are interested in water sports? Exploring the under water world have the same sensation as exploring outer space. For those of you who love the under water world and did not hesitate to wear tight waterproof, diving activities surely captivate you. Scuba diving (diving) is becoming one of the most popular water sports. So popular, up to nearly one million people get certified divers every year. Basically, sport diving only involves an air tube that is placed in the back and you just dive into the water with a protected set of waterproof clothing and the tube that keeps you can breathe in the water. Quite interesting, is not it?